Are you ready to grab onto your seats for some fast-paced spy thriller action? Here are the ways on how you can stay updated on Homeland online. Homeland is an American spy thriller produced by Fox 21 Television Studios for broadcasting company Showtime. It stars Carrie Mathieson (played by Claire Danes) a Central Intelligence Agency officer, and Nicolas Brody (played by Damian Lewis), a U.S. Marine Corps Scout Sniper. The premise of the series is based around the lives of both as Brody, after having been reported as missing in action for a long time, was rescued from captivity in Iraq. Carrie, being the cautious person that she is, suspects that there is a much bigger disaster waiting to happen at the hero’s hands. The first episode of the series premiered on October 2, 2011, to universal acclaim. After 7 seasons, the series is set to conclude with its eighth and final season set to air in fall 2019. You can watch Homeland on Sunday at 9/8 c on Showtime. If you don’t have a TV and you want to binge-watch up to the final season, worry not, my friend. Here are our recommendations on where to watch Homeland – both official and unofficial – online. Homeland is being broadcasted on Showtime, so it’s a no-brainer that this will be the first on our list. All you have to do is sign up, pay your plan and start streaming! If you’re unsure of your subscription, then try their 30-day free trial. We wish you luck on streaming all the episodes in a month, though. You can also download the episodes to watch offline on your spare time so you should definitely check this one out. Unfortunately, Showtime is only available to U.S. residents and selected territories. For non-U.S. residents, don’t fret. Amazon is your go-to-guy when it comes to considering alternative streaming platforms. 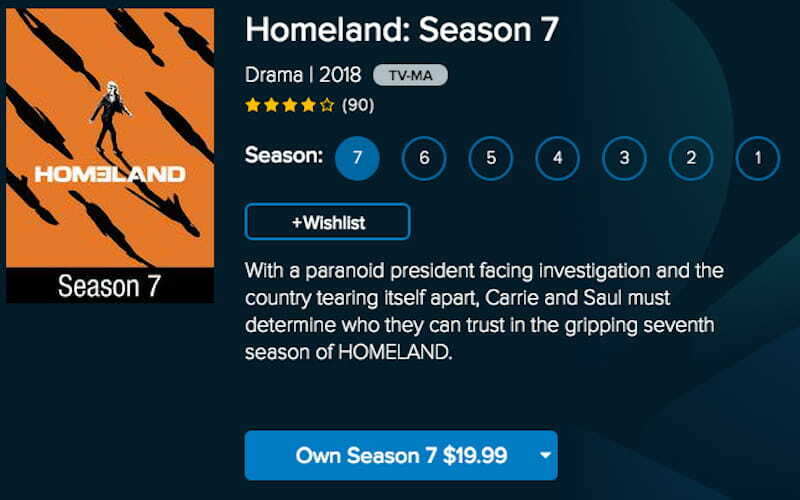 Luckily for Amazon Prime subscribers, the company’s partnership with Showtime makes all 7 seasons of Homeland available on its website. That’s seven full seasons of Homeland goodies. You can even watch it on Showtime or on Amazon. You choose. You can buy the episodes individually or the season bundles (or just try out the 7-day free trial). However, the service is currently restricted to U.S. residents so if you’re outside the country, you know the drill. But, as we said earlier, you can unlock this content through the use of a VPN. Scroll down below to find out how. Hulu is another streaming platform to consider aside from Amazon if you’re looking for a premium streaming experience. 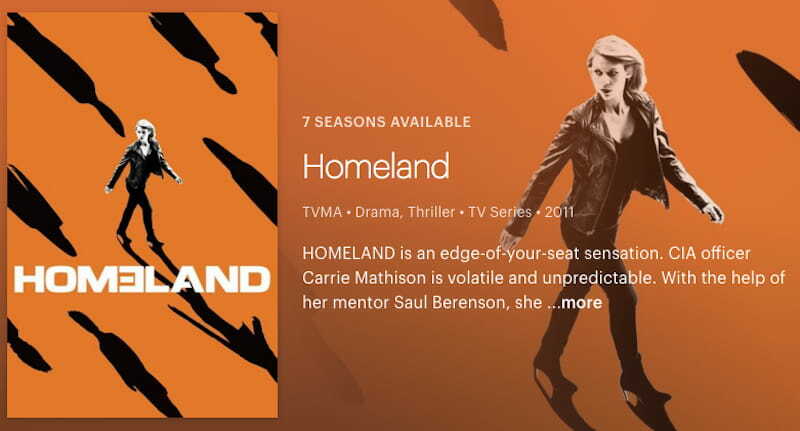 Hulu won exclusive rights to stream the award-winning series last 2016 so subscribers can watch Homeland through their website. Just add Showtime to your current Hulu subscription and that’s it. No additional labor whatsoever. You can also try their 30-day free trial and opt to cancel anytime when you feel like it. Do you have an Apple device? If you do, then you can also use your Apple iTunes account to stream Homeland. All 7 seasons are available on the iTunes store, so just choose the episode or season you want to watch, buy it, then start. It also allows downloads, so you can store and watch it on your mobile device whenever you feel like it. You can save up to $70 should you choose to buy the season 1-6 bundle, so go for it if you have the money. If you don’t mind taking a break from the congestion of popular streaming platforms such as Amazon, Hulu, and others, go for Vudu. It’s an underrated streaming platform but it performs just as well as its competitors. What’s engaging is that it also lets you download episodes on HDX or SD at a fair price, so it’s a sure-fire alternative. Not everybody can afford the costly subscription, we know what. With all the hype Homeland has gathered over the years, we know that you’re itching to watch it. That’s why we compiled “unofficial” ways for you to watch Homeland online. If you’re familiar with copyright infringement, then you know that you’ll never find Homeland on Youtube. And as the saying goes, if you can’t find it on Youtube then it’s (most) probably on Dailymotion. But since this is an unofficial streaming platform, it will take you some time to browse through the links provided on the site. Some, or maybe most of it may be broken, but it’s worth a try if you’re looking for a quick alternative. You can also try 123movies if you’re looking for another streaming platform. It’s recommended by several users so it’s definitely worth trying out. 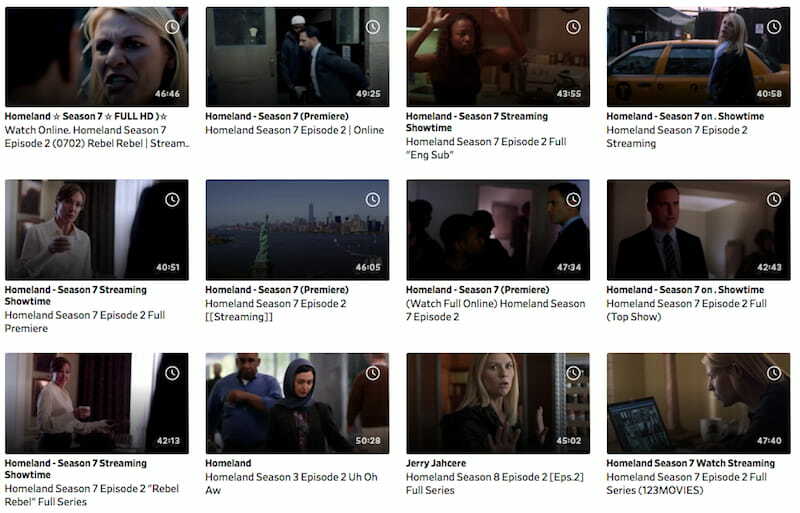 Look for Homeland through the search bar, click on the episode you want to watch and start streaming. No need to make an account. But be careful though, as it has lots of ads and pop-ups on site that appear at almost every click. You’ll be checking out multiple links to find what you’re looking for so be patient. If you can’t find what you’re looking for using the two methods mentioned above, then we suggest that you go to Google. Type the usual “where to watch homeland online free” or “where to stream homeland online free” keywords to search for the episode of Homeland you’re looking for. Every site is not always guaranteed to work but since you want stuff, you have to check and scroll all the way to the bottom. We recommend that you enable your AdBlocker so you won’t compromise your protection (or subscribe to a premium VPN which offers the same protection). Considering the popularity of Homeland, it’s no wonder that people will try to get their hands on it. But we do not condone piracy or torrenting of copyrighted media. It’s illegal and punishable by law – you can be jailed and be liable to pay a fine which can be a bit handful. Yikes. It’s totally legal to download an episode through your subscription on premium streaming sites because technically, you own it. But the moment you share it through torrenting sites, it becomes illegal. Worse, your privacy and the security of your Internet activity can be compromised. That’s why we always recommend using a VPN to prevent these things from happening. If you still insist on torrenting, then take the time to browse our best VPNs for torrenting. Have you been trying to watch Homeland only to find out that it’s not available in your region? It’s frustrating, right? Showtime’s black screen of death. Well here’s a guaranteed solution – use a VPN. A VPN re-routes your Internet activity from your original server to another, which enables you to access content not available in your region. 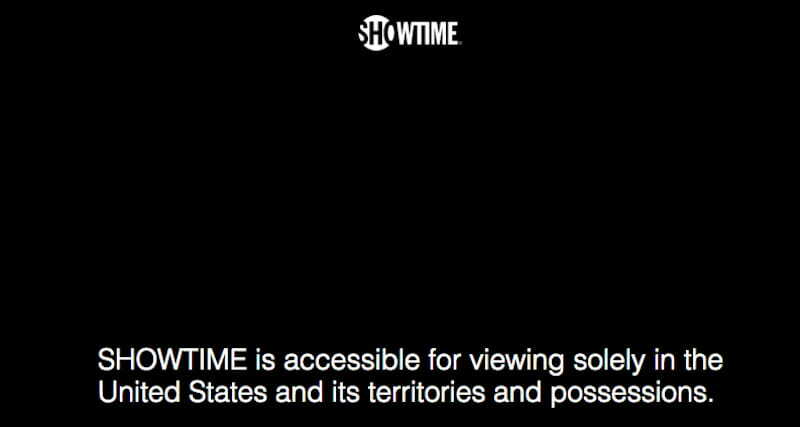 This means that you can watch Homeland on Showtime, Amazon or other streaming sites which are geo-restricted. In addition, it also protects your network from prying eyes, so you can browse securely, without detection. Check out these two recommended VPNs for a start. If you’re trying to watch Homeland, then try ExpressVPN. It has all the services you’re looking for in a premium VPN – high internet speeds, unlocking of geo-restricted content, and even torrenting. It also has 24/7 customer service, which is perfect if you’re just starting out. With $8.32/month for a year’s subscription, it’s cost-effective compared to subscribing to Showtime or iTunes, in addition to unlocking content on other premium streaming sites. If you want another alternative aside from ExpressVPN, you can also try NordVPN. It also offers the same services minus the 24/7 customer service. What sets it apart from others is the fact that its current (and best) plan stands on $2.99/month for 3 years – which can be ideal if you’re looking for a premium VPN which you can use in the long run. You can watch Homeland on virtually anywhere around the world. Anytime. We know you’re ready to stream with all these recommendations we’ve given. With the final season of Homeland eventually returning sometime fall, so you have lots of time to watch all 84 episodes of the series, each at around 46 to 84 minutes tops. Make sure that you use your VPN to unlock geo-restricted content. Aside from being completely legal, you also get to support the cast for their hard work. Turn your computer on and start your daily dose of political thriller with Homeland!